Everybody needs fresh air to breath be it humans or animals. Fresh air helps to maintain your body temperature as well. However, a more convenient way to take fresh air is a ceiling fan. Well! There are several ceiling fans available in the market and it is really difficult to choose one from all that are available. No need to worry as here you will find out the list of best ceiling fan from which you can choose one according to your needs. 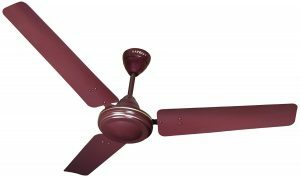 How to Choose the Best Ceiling Fan in India? 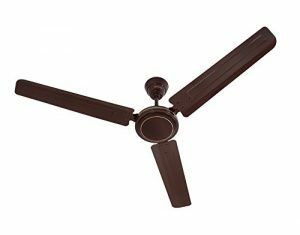 The Usha Diplomat 3 Blade Ceiling Fan is indeed one of the best Usha ceiling fans that you can wish to purchase. The simple and classic design complements the interior of any house. The Rich Brown color gives the best results from different types. The ceiling fan has a sweep of 1200mm and has a good air delivery. There are three blades in the product that provides the best possible output. You will certainly love these Usha fans online. The high lift angle definitely presents a beautiful atmosphere. Bajaj is a major Indian electrical brand renowned for providing quality and high performing products at affordable prices to Indian middle class. 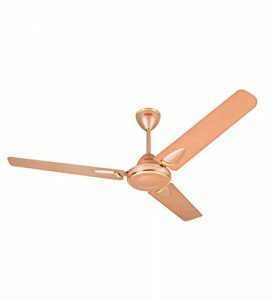 This reputation is done no harm by the launch of this all-new Bajaj Cruzair Decor series fan in misty Antique Copper texture. The quantity of air delivered by this best ceiling fan is around 235 CMM at a maximum rpm of 320. Something that sets it apart from the rest in this series is the configuration of its blades. Orient Aeroquiet is the latest innovation from the house of Orient. Its unique design and highly aerodynamic body and wings secure maximum air throw to your room. Apart from performance, the design also helps in making this fan an absolute charm to look at. Its curvaceous silhouette and premium finish add to its appeal and charisma. The skeleton is completely free from rust and created using high-grade glass filled compounded ABS, a material that is strong as much as beautiful. This fan by CG is an absolute value for money. Blades have been designed for superior air delivery and greater reliability so that you never feel low about it. High airflow of 218 CMM would ensure that you get your breeze wherever you’re in the room. Besides, the power consumption is not too high either. It’s only about 53 watts. The design is blissful and soothing to the eye. It is indeed one of the best ceiling fan you would love to buy. The ES-50 would use a maximum of 52 watts of electricity at full pace as it houses one of the most energy-efficient motors in the industry. This has helped it gain a 5-Star rating from BEE. The rpm clocked by the motor is also quite high at 350, which translates to higher air thrusts, not only in the center of the room but towards the corners as well. The model is available at most online stores for less than 2K. It has High service value of 4.2cmm/watt makes it the first choice for consumption-wary folks. 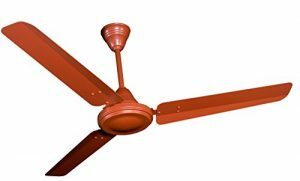 It is one of the best ceiling fans in India. The Usha 1280 mm Fontana Orchid Gold CF 4 Blade Ceiling Fan brings out a beautiful picturesque in your room. The Ceiling fan obtains a 3-speed pull cord control for speed regulation and also comes up with a Gold Ivory product that you can get. It is indeed some of the best ways by which you can have most of the benefits. It consumes only 70 watts of power and brings a good air blow. Overall, the product is indeed good to purchase that satisfies your needs. Minimalist design yet stylish in its own right. Not very easy to clean up. Orient is another well-known brand in the common Indian household. They are particularly noted for their engineering and innovative technologies. Energy Star is their latest offering. It has been equipped with a BEE certified 5-Star standard DC motor that is not only highly energy efficient but a very good performer and air-delivered. It consumes about 48 watts of electricity per hour and can thus easily go for about 20 hours per kWh unit consumed. Glossy paint job with the superior finish. No remote control provided. 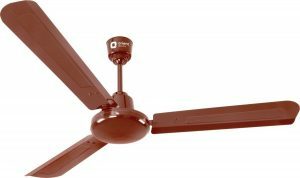 The Usha Striker Millennium 3 Blade Ceiling Fan comes up with some of the unique colors with the Usha fan price. It also has some of the best results which include a maximum air blow. It has an rpm of 830 which is also considered to be very efficient in all formats. The Usha Striker Millennium 3 Blade Ceiling Fan is small in size, but it is one of the fastest ways by which you can get your best results. The power consumed is only 75 watts which is great. The SUPERFAN Super A1 Ceiling Fan with Remote Control has the best ceiling fan price in the Top 10 ceiling fan price list. This very stylish fan by SUPERFAN assures great performance owing to its robust BLDC motor and aerodynamic blade design. It comes with a handy remote control which can toggle all the functions with good response. The power consumption is around 35 watts which mean that one kWh unit of electricity can effectively run the fan for about 28 hours at full tempo. The Gorilla Energy Saving BLDC White Ceiling Fan- 1200 mm Sweep is simply the best ceiling fan that you can wish to purchase. This fan is being dubbed as the most energy-efficient ceiling fan in India. All it consumes is 28 watts of electricity, that too while running at full throttle. Its Brushless DC motor not only allows for a very high torque and rotation speed but is highly energy efficient at the same time. This means you can save on your power bills, at least a couple of thousand per year. High-performance, high-efficiency Brushless DC motor. Cheap plastic used on the remote control. There are several styles and finishes of ceiling fans available in the market to choose from. Some of the varieties are Antique Ceiling Fan Designs, Tropical Ceiling fans, Contemporary Ceiling Fans etc. The right ceiling fan will complement your home decor effortlessly. The most important factor to consider while you think of buying a ceiling fan is the budget factor. Well! Whenever you think of buying any product, you should have a budget set in your mind which you will help you to choose your product according to your requirements. First, select a budget and then start searching products according to that. Keep in mind to check the fan controls. It is very important to have a user-friendly device that you can use easily. Now whether you want to add the lights or not depends on you. 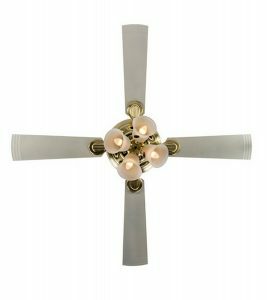 If you want a ceiling fan along with lights, then you need to buy according to that only. If you plan to install the fan in a space with good natural lighting or sufficient light fixtures, buy a ceiling fan without a light kit. The motor is the heart of any ceiling fan, and it determines the airflow and efficiency of your ceiling fan. You don't have to have to be an electrical engineer to understand a fan motor, but it’s the most important part of any fan. Check the watt or power of the motor. Now another factor to keep in mind the area where you are thinking to place your ceiling fan. It is very important because your area expose the unique weather elements and hence the performance may vary. However, you need to know whether you are putting it in a smaller room or a larger one as according to that you need to think of the capacity of your ceiling fan. 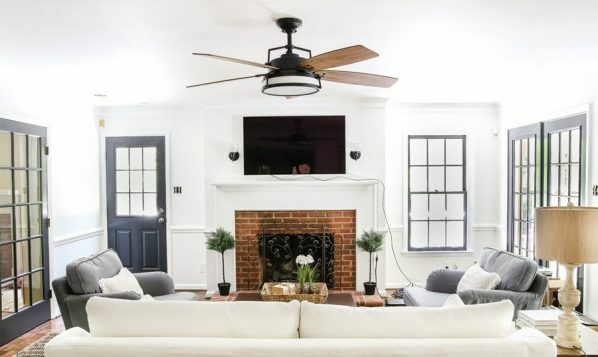 Ceiling fans are not one-size-fits-all fixtures. They can range in size from 14 inches to 72 inches wide. 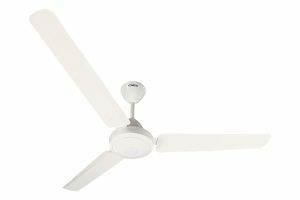 However, the right fan will depend on the size (square footage) and height of your room. Make sure you buy a ceiling fan that is the appropriate size for your room to ensure that it performs properly. 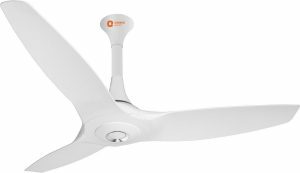 Best Buy- The Gorilla Energy Saving BLDC White Ceiling Fan- 1200 mm Sweep is simply the best ceiling fan that you can wish to purchase. This fan is being dubbed as the most energy-efficient ceiling fan in India. Its Brushless DC motor not only allows for a very high torque and rotation speed but is highly energy efficient at the same time. Value For Money- The SUPERFAN Super A1 Ceiling Fan with Remote Control has the best ceiling fan price in the Top 10 ceiling fan price list. This very stylish fan by SUPERFAN assures great performance owing to its robust BLDC motor and aerodynamic blade design. It comes with a handy remote control which can toggle all the functions with good response. So these are the Top 10 Best Ceiling Fan Online In India Reviews & Buying Guide 2018 from which you can choose anyone according to your own requirements. However, still, it is a better option if you read more customer reviews to get a much better idea of the performance of the particular product. This was really a good comparison. I was looking online for Orient, Bajaj and Crompton Ceiling fans I was confused regarding the same. I think Bajaj Ceiling fan will be a good option for your home. 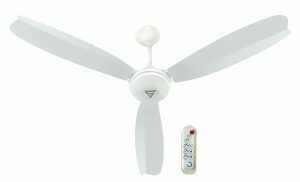 If you want designer fans you can look in Orient as well but they are little costly compared to Bajaj. In today’s society looks matters a lot!! !